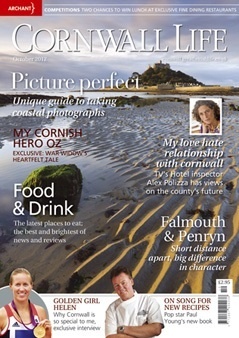 Cornwall Life is the county magazine offering hundreds of pages of articles and superb photography every month. Each month we bring you the most exciting events, inspirational people, fascinating articles and breathtaking photography in a true celebration of the county. From gardening hints and tips to readers homes, cutting-edge art, tempting recipes, interesting wildlife, in-depth features about local towns, villages and lifestyles plus a guide to what\'s on each month. Cornwall Life is published 12 times a year.